Valentino Rossi was ordered to start from the back of the grid this Sunday for the final race of the 2015 MotoGP season, after he was penalized for his part in an incident in with Marc Marquez. He appealed because, as many in the motorcycle racing community believe, the crash was Marquez’s fault. With that appeal denied, we did a little math on what it’s going to take to pull off a win. 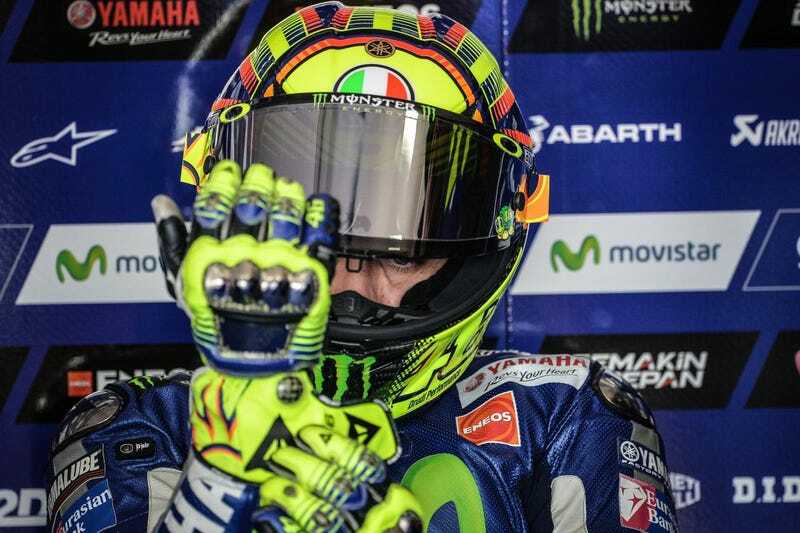 Rossi, who’s fighting to win his TENTH world championship, is winning the season by a mere seven points and is heading into a track that he’s had an interesting history with. He hasn’t won at Valencia since 2004, but 2006 is likely a far more memorable year as it’s when he crashed out and let the championship slip from grasp.